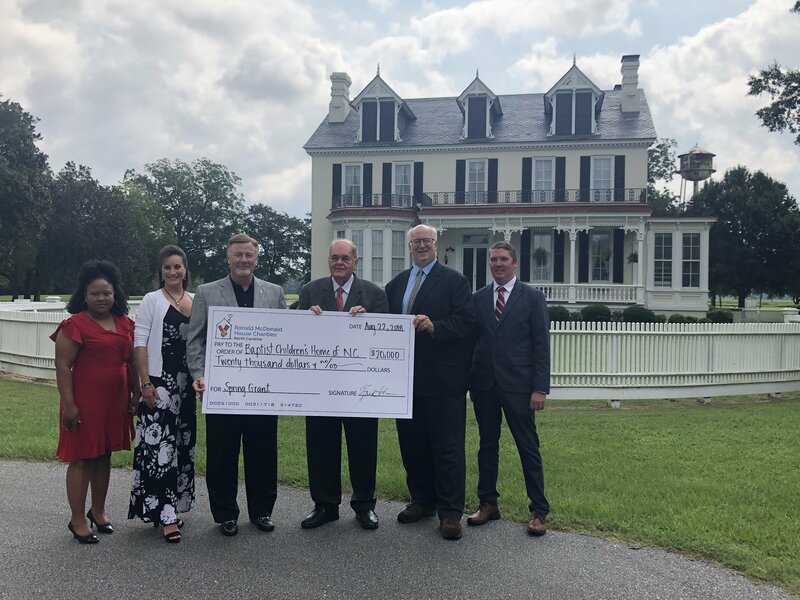 Last month, the Ronald McDonald House of Eastern North Carolina was one of 32 chapters nationwide selected to receive part of a $100 million donation. AbbieVie, a research-based global biopharmaceutical company, announced the contribution to the national charity at the Ronald McDonald House Charities International Conference in Chicago. It’s the largest single gift Ronald McDonald House Charities has ever received. The donation will provide housing and family-centered services for pediatric patients and their families during hospital treatment across the United States. The $1.4 million that RMHENC received will support the expansion of the free-standing House in Greenville. RMHENC broke ground on the new expansion in May 2017, building a 10,000 square foot addition which added four bedrooms, relocated three bedrooms, and added an updated kitchen, dining area, playroom, and laundry room. The original part of the House is currently under renovation with an expected completion date in late 2018. This expansion project will help support 100 additional families each year. 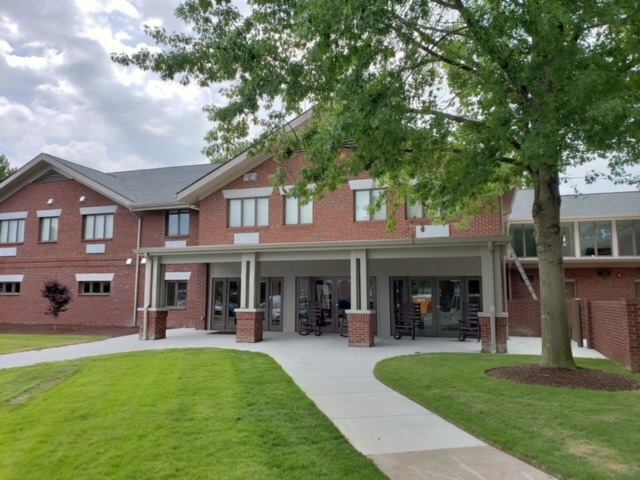 The Ronald McDonald House of Eastern North Carolina is still accepting donations to pay for the expansion and is continuing to sell bricks for its “Fund a Family” programs. For more information about the programs, you can visit RMHENC’s website. Do you know a non-profit organization that could benefit? Ronald McDonald House Charities of North Carolina believes it’s important to have a positive impact on a child in order to change the world. But we can’t do it alone. That’s where our community grant program comes in. We proudly support other non-profit organizations across the state making an immediate and positive impact on children who need it most in the areas of health care, education and social services. On August 22nd, RMHC of NC board members presented a $20,000 grant to workers and families at the Kennedy Home campus in Kinston, NC. The grant will go toward the rewiring of the Kennedy Home, which was severely damaged during Hurricane Matthew. Baptist Children’s Homes of NC serves children by providing residential services to children experiencing family crisis. 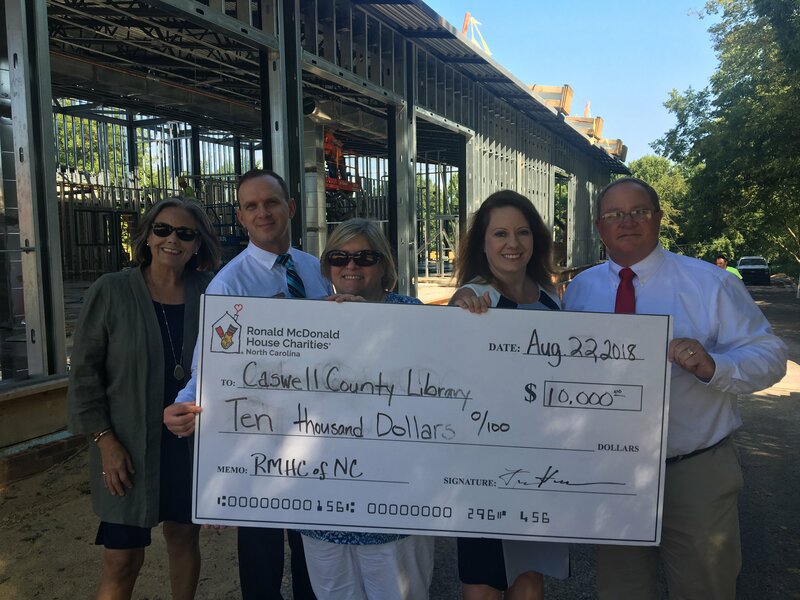 On August 22nd, Caswell Friends of the Public Library were presented with a $10,000 grant to go toward the renovation of the local children’s library. The Gunn Memorial Public Library is currently undergoing a major expansion, which started in March. This grant money will go toward purchasing new furniture, displays and books for the Children’s Department. 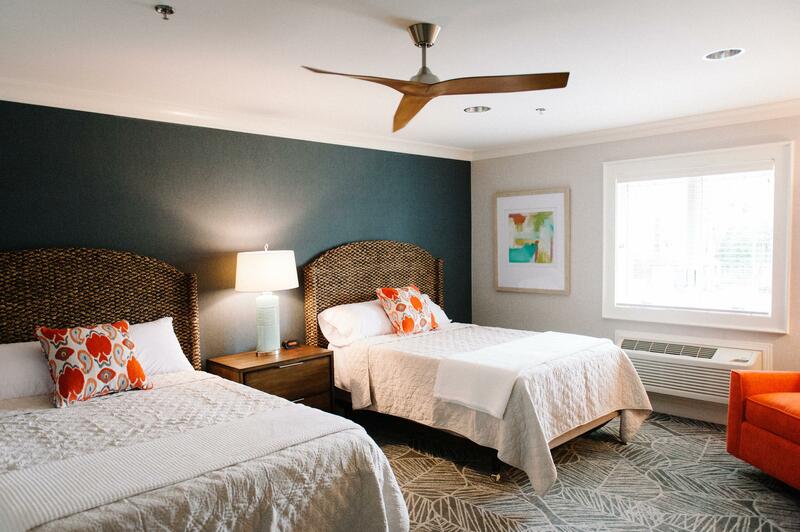 The renovations are expected to be complete in March of 2019, with a grand opening set for April. Again, the deadline to be considered for a fall community grant is September 30th. If you know of an organization that could benefit, visit our website for an application and information about the process. Hurricane Florence proved to be a devastating storm that continues to impact hundreds of thousands of lives across the Carolinas. From power outages to flooding, the amount of destruction is still unknown. 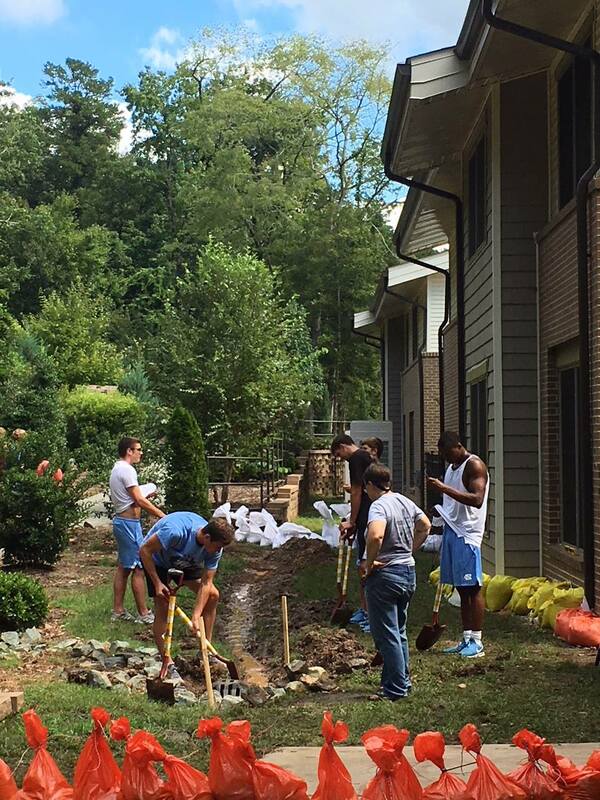 Thank you so much to all of our volunteers who helped our Houses prepare ahead of the storm’s arrival. Our thoughts and prayers go out to all of the victims across both states! October 7th: Foodies rejoice! Join the Ronald McDonald House of Chapel Hill for the 28th annual A Tasteful Affair at The Blue Zone at Kenan Stadium. People from across the Triangle will enjoy delicious samples from more than two dozen of the area’s best restaurants, catering companies and food trucks. Click here to purchase tickets and place bids on the silent auction! October 7th: The Ronald McDonald House of Eastern NC and Pirate Radio are hosting the Pirate Radio Bowling Bash! A hundred percent of the proceeds will go to the House. To find out more about how you can take part, view the event flyer here.